This past weekend, the 6th annual National Beard and Moustache Championships, presented by the Traveler Beer Company, was held at Brooklyn’s King Theater. 300 beard and moustache groupies turned out from across the globe to compete in 18 categories. 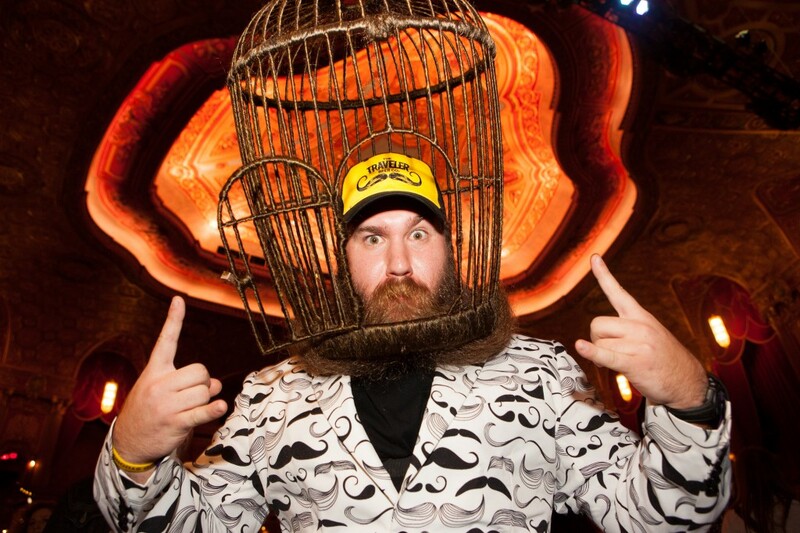 But ONE MAN stole the show: veteran beardsman Eric Brooks donned a gigantic bird cage-style beard made entirely of the contestant’s facial hair — with a working cage door that opened up to allow him to chug an entire bottle of Illusive Traveler shandy, the National Beard and Moustache Championship sponsor product. The Beer Cage was a nod to the above video “rumored” to have been staged in Los Angeles at The Groundlings improve stage in 1991, the same year Saddam decided to tangle with one general Norman Schwarzkopf Jr. 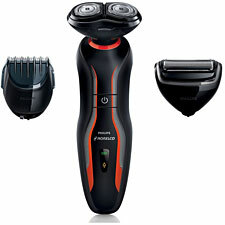 I know shaving your face is being marketed as an “experience,” a “moment for yourself.” But out of 100 shaves, how many times do you treat it like a spa day the way hot babes and high-rolling Atlantic City sweathogs do? Exactly. This review was eight months in the making. 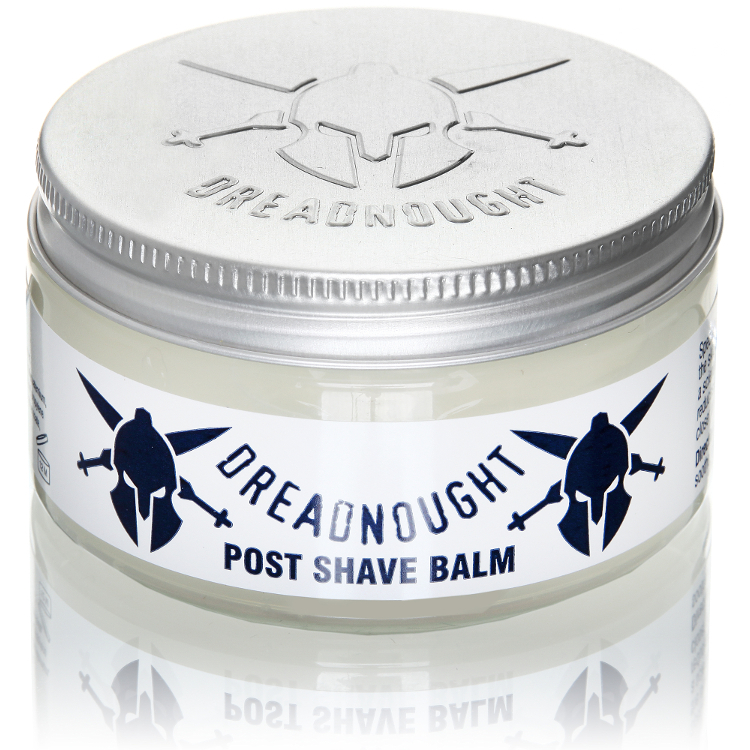 I initially reviewed the Post Shave Balm from Dreadnought Shaving over a year ago (Jesus, look how distorted that image is. You’ve come a long way, baby). At the time, I loved it. So much in fact, that I babied my supply, even cutting it with water when I ran low, the way you fill up your parent’s vodka from the liquor cabinet in high school. 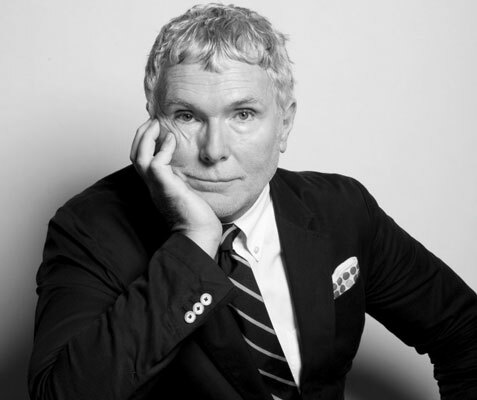 In that eight months, I tried every conceivable aftershave and post shave incarnation, some high-end, though mostly sleazy and easily accessible. And all that time, I was really longing for Dreadnought. I tried to deny it, but nothing was as good in the interim, or even now. Finally, tail between my legs, I reached back out to Dreadnought. I was going to publish the actual email, but it was so #WeakSauce, so sappy, it was embarrassing, and it still is. I’d prefer you continue to think of me as a man, not some blathering, near-woman idiot, gassed up on chardonnay and scorn. 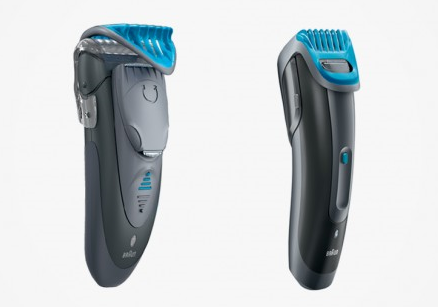 One lucky reader will win a Philips Norelco Click & Style courtesy of Bullz-Eye.com. Follow this link to enter today!